Trinseo (NYSE:TSE) has announced plans to close its styrene butadiene latex plant in Gales Ferry, CT, due to continuing declines in the coated paper industry in North America, and as part of a program to reduce costs in the business by a $5MM run rate in 2016. Customers will be sourced from Trinseo’s other latex plants in Midland, Michigan, and Dalton, Georgia. Trinseo will make capital investments at the Michigan plant to enhance production and storage capabilities in support of customers who previously were sourced from Connecticut. "We are taking this action to reduce our cost structure in our North America business, in response to changing market demand for coated paper," said Jan Muller, Global Business Director, Binders. "These changes will improve our cost position in North America and increase our asset utilization rates to approximately 85 percent." Production in Connecticut will cease at the end of 2015, followed by decommissioning and demolition in 2016. Seventeen employees at the latex plant will be eligible for separation packages. Trinseo is a leading global materials company and manufacturer of plastics, latex and rubber, dedicated to collaborating with customers to deliver innovative and sustainable solutions. Trinseo's technology is used by customers in industries such as home appliances, automotive, building & construction, carpet, consumer electronics, consumer goods, electrical & lighting, medical, packaging, paper & paperboard, rubber goods and tires. Trinseo had approximately $5.1 billion in revenue in 2014, with 19 manufacturing sites around the world, and approximately 2,100 employees. 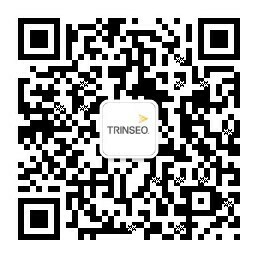 More information can be found on Trinseo's website. Formerly known as Styron, Trinseo completed its renaming process in the first quarter of 2015. More information can be found at www.trinseo.com.